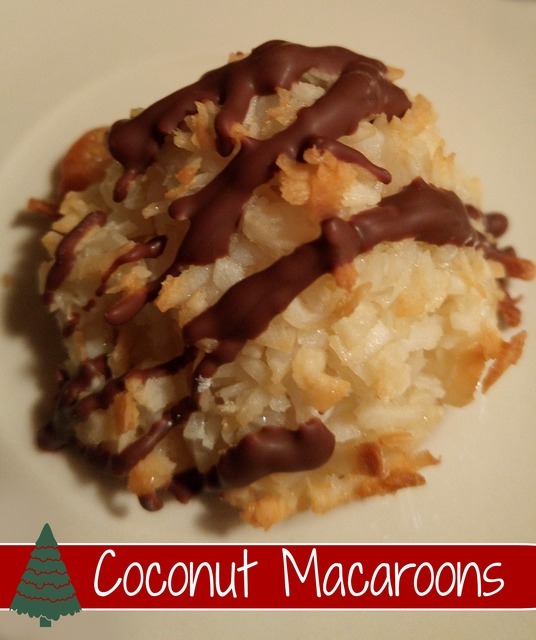 Looking for a yummy treat to add to your holiday cookie plate? Why not try Coconut Macaroons! This recipe makes about 20 macaroons! 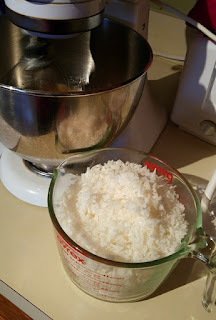 Beat the egg whites, sugar, and vanilla together on medium-high speed until foamy and the sugar is just about dissolved. This may take a minute or two. 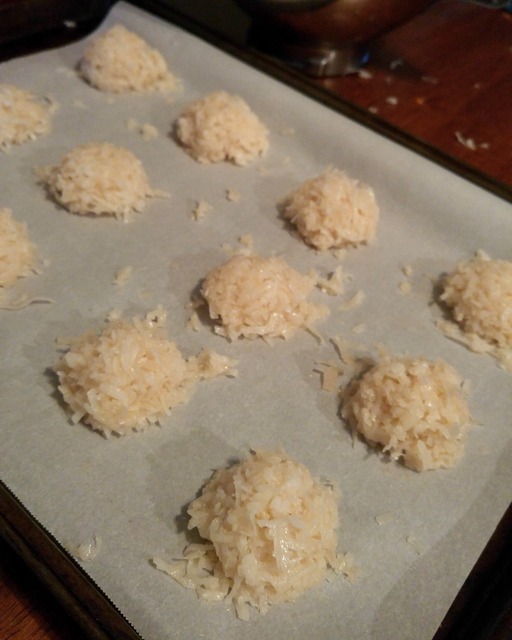 Fold in the coconut, making sure the coconut is evenly moistened. Using a large cookie scoop, scoop about 2 Tablespoons of the mixture (make sure the scoop is compact) and place onto the parchment lined baking sheet. If the mounds come out loose, re do, you must have compact mounds. 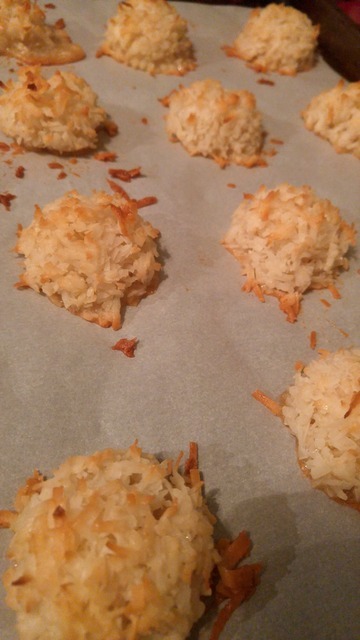 Bake until lightly golden brown, about 20 minutes. Allow to cool completely before removing from the sheet.